Few would dispute that the adoption of Internet of Things (IoT) technology has been slower than many had predicted. There are a number of reasons for this, but identifying the right connectivity solution is still one of the main issues for organisations looking to deploy IoT applications. Leaving aside short range connectivity options such as Bluetooth, ZigBee and Z-Wave, GSM 2G technology, provided by mobile network operators (MNOs), has carried the bulk of wireless wide area network connections so far, simply because it has been the only infrastructure available. For higher data throughput and more business critical IoT applications 3G and increasingly 4G is available when and where the higher connectivity costs justify implementation. 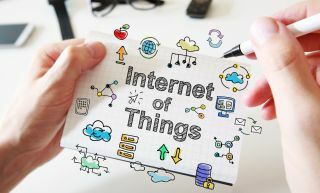 But if the predicted billions of IoT connections are to be realised they will mostly be for applications that only require the transmission of small amounts of data – and often only very occasionally. With existing licensed cellular solutions perceived to be too expensive or technically inappropriate, there is a need for cheaper, low power, low data throughput solutions to enable the business case to stack up. A number of ‘proprietary’ solutions, now generally referred to as low power, wide area networks (LPWAN), have been developed over the last few years to meet this need. The best known of these ultra and narrowband solutions are Sigfox, LoRa and Ingenu, which all use unlicensed spectrum. In addition, there are the three Weightless standards, also running on unlicensed spectrum but unlike the above which all have some proprietary element, they are a completely open standard. However, all LPWAN solutions require the installation of dedicated infrastructure to build out the networks. These standards, particularly Sigfox, which was first to market, and more recently LoRa, threaten to take a good chunk of the potential LPWAN market away from the mobile network operators (MNOs). In response to this, standards body 3GPP has been working to develop narrowband LPWAN standards based on licensed cellular technology, which will enable the MNOs to compete using their existing spectrum holdings and infrastructure. 3GPP finished specifications for no less than three LPWAN standards this year: NB-IoT (officially known as LTE Cat NB-1), LTE-M (LTE Cat M1) and EC-GSM-IoT (Enhanced Coverage GSM-IoT) - an adaptation of 2G GSM. Now all these LPWAN connectivity solutions are available now (or within a year), are organisations in a position to adopt IoT on a large scale? The answer appears to be – not really. For Professor William Webb, CEO of the Weightless Special Interest Group (SIG), the plethora of connectivity options is in fact one of the chief culprits behind the slow adoption of IoT. ‘If you take Ericsson’s predication in 2010 that there would be 50 billion IoT connections by 2020, then we’ve not got very far. That’s 10 devices per person on the planet and if you divide the figure up it would mean achieving 13 million device connections per day to get to 50 billion in 10 years,’ says Webb. He points out that for connected wearable products the answer is obvious: Bluetooth. But for LPWA applications what is needed is a simple and cheap module or chip, simple and well-understood application-level interfaces, and ubiquitous coverage for wherever the device might be. The problem for potential users is not just the number of options, but that no solution has particularly good coverage yet (although cellular NB-IoT will be pretty extensive when it comes on line wherever 4G networks are well developed). They also run the risk that they might invest in an LPWAN solution that does not attract widespread future support, leaving them with redundant technology on their hands. Webb adds that as well as network operators having to invest in wide geographic coverage, other elements also need to be in place before mass adoption of IoT can happen, including APIs, security guidelines and device management systems – of which more later. Thomas Nicholls, EVP Communications at Sigfox, agrees to some extent. He recalls in the early days of the firm having to spend a great deal of time trying to explain to analysts and the market in general that a new type of M2M/IoT connectivity was needed at a cheaper price point than 2G. ‘Eventually, we got to a point where we didn’t have to spend all our time justifying what we were trying to do. But now people compare us to other technologies that are very different to what we do,’ he laments. ‘The whole point of making IoT connectivity simpler, cheaper and more widely available is not just about new technology, but about providing a service that is easy to access and which lowers the business costs. So, if people would stop comparing Sigfox to LoRa or Ingenu we would greatly welcome that approach,’ says Nicholls. ‘We only address applications that just need to communicate a few times,’ he continues. ‘Other applications will need to communicate more often and send more data. So, there is a need for different types of M2M/IoT connectivity. Nicholls agrees that if you want to track a vehicle on the move in real time you will need NB-IoT or LTE Cat M, but if you want to know where a car is at rest, or just where it is once in a while, then Sigfox could be a better option. He points out that one aspect that is not well understood yet is that at least half of Sigfox’s 7 million sign-ups are combined with other types of connectivity as a complementary service. For example, Securitas Direct uses alarms provided by Verisure based on cellular connections. But a simple £10 GSM jammer can block the alarm. However, it is very difficult to jam a second network. Nicholls argues that this shows Sigfox is not just a traditional M2M play, but a combined one that can be helpful in activating other types of IoT by making the process cheaper and more energy efficient – something even the company had not expected when starting out. Returning to the challenge of people not comparing apples with apples, Nicholls argues that what customers need to assess is the four Cs: Commitment – what sort of service and SLAs do they get; Coverage – where can they use the service; Cost – what is the cost per end point and cost of integrating the solution into the device; and Consumption – what is the energy consumption of the device and battery performance. ‘End customers don’t care about the connectivity solution and what is under the hood, so you should benchmark according to these criteria. You can compare different radio technologies all you want, but customers just care about the service they get,’ says Nicholls. Sigfox plans to have a presence in over 60 countries by the end of 2018 and Nicholls says that applications like connected cars are a huge driver for the company to roll out its networks as fast as possible across Europe, America and Asia. LoRa, which offers full two-way connectivity, higher data rates and transmissions as often as needed, is also making some headway. Dutch operator KPN has rolled out a network in the Netherlands, SK Telecom in South Korea and there are networks of various sizes appearing in Germany, Finland, Taiwan and Scotland. France’s Orange is deploying a LoRa network, and announced in September that is had covered 1,300 towns by July 2016 and was on course to cover 2,600 by January 2017 in 120 urban areas. It expects to earn €600 million from IoT by 2018. It is a rare example of an MNO committing to building out a ‘proprietary’ LPWAN as well as pursuing licensed options. Vodafone, in contrast, has said it will not use any of the proprietary solutions, but is instead fully committed to deploying NB-IoT and LTE-M. Along with Huawei, it trialled an NB-IoT transmission across its live network in Spain in September 2016. Why three 3GPP cellular LPWAN standards? But why three standards? Pauzet explains that Enhanced Coverage GSM IoT (EC-GSM-IoT) was developed because some operators want to keep using their 2G GSM infrastructure, although others like AT&T in the US intend to switch theirs off. ‘EC-GSM-IoT is something of a side technology to extend the life of 2G IoT deployments in some markets and geographies,’ he says. Vodafone is one such example, as 70% of its existing IoT connections are running on 2G. In Europe, it has committed to maintaining 2G until 2025 when it expects its customers’ 2G IoT installed base to have exceeded their lifetimes; they will have got a full return on that investment and be ready to invest in another solution. That leaves NB-IoT and LTE-M. Specifications for LTE-M were finished first and Pauzet expects commercialisation in the first half of 2017, with NB-IoT following in the second half of the year. ‘Why are there two mainstream standards? NB-IoT is for very low throughput applications. It does also provide a slight benefit in how you utilise spectrum as you can deploy it in the LTE guard bands, so that’s a good benefit,’ explains Pauzet. ‘But if you want to support low latency IoT applications then LTE-M is better. We don’t expect the cost between the two to be very different; it is just that LTE-M supports a wider range of applications. As soon as you need functionalities such as IP at the edge and a security layer, then you need LTE-M. If you want to stream live video, then you need LTE Cat-4 and above,’ he says. LPWAN solutions face a battle between being able to reduce the cost to a point where it enables mass adoption, while at the same time trying not to sacrifice too much sophistication in the module. However, Pauzet says that the cost of silicon and computing at the edge is getting very cheap, pointing to the likes of the ARM Cortex M0, the company’s smallest processor, which has a very low gate count, minimal power requirements and a reduced code footprint, while still offering a 32-bit performance. ‘If you have a device with a 10-15 year lifecycle, you are going to need something reasonably sophisticated to be able to upgrade it over the air once it is deployed in the field. So, you need software in the device capable of being maintained at the network edge,’ he says. It’s an important point, but that still leaves enterprises scratching their heads over which LPWAN standard to adopt. William Webb says the Weightless board has a proposal to end the fragmentation in the LPWAN sector, which if adopted, will help galvanize take up. A multi-radio chip to solve the fragmentation issue? The Weightless idea is to have three physical interfaces on a single chip; the first for ultra narrowband (UNB) solutions like Sigfox and Telensa; the second for unlicensed narrowband options such as LoRa and the Weightless P standard; and the third covering licensed narrowband standards such as LTE NB-IoT. This does admittedly exclude the likes of Ingenu, which provides a broadband unlicensed solution in the 2.4GHz Wi-Fi band. ‘If you had all three interfaces on a chip I think you could persuade most of the IoT community to support that and offer something to the developer community that is not too expensive,’ says Webb, who adds that Weightless could then position itself as a brand that certifies and promotes the chipset – rather like the way the IEEE controls the underlying Wi-Fi technology, but the Wi-Fi Alliance promotes it. Weightless recently teamed up with European standards body ETSI with the aim of letting the latter take over its technical standards development role. ‘As I’ve observed before, there is no successful worldwide, leading edge proprietary wireless technology and I cannot see IoT being an exception to that rule,’ says Webb. Whether both UNB and NB are needed on the single chip is a moot point, but Webb argues that to make a decision one way or the other at this point is one that probably will not stick and dropping one risks continuing the fragmentation problem. Robin Duke-Woolley, CEO at Beecham Research, which specialises in IoT, is sure LPWAN applications will have a big part to play in driving the mass adoption of IoT in the future. ‘I think all the standards will find a place to survive. The question is: is that area large enough to enable them all to thrive? ‘Anyone who thinks they know the answer to that is lying – no one knows,’ he asserts. ‘You cannot draw a boundary around it and say: this is all the apps that will be in this area. You can only talk about the ones we know about today. ‘LPWAN technology is still in very early days. We are thinking in terms of traditional applications, but it will open up new cost effective ways to enable thousands of new applications no one had thought of before to be created for which the business case was not justified before,’ says Duke-Woolley. Besides the obvious LPWAN connectivity confusion, there are a number of other factors holding up the mass take-up of IoT. Ovum’s Moss notes that mobile operators have found it hard to find compelling offerings to persuade consumer subscribers to pay for extra services on top of their normal text, voice and data packages. This is not the case with IoT, he says, where enterprises are willing to pay for this extra service, because if they have got the business case right, it will save them money and make them more efficient. There is an RoI that makes sense to invest in. That said, he thinks there is a bottleneck in the industrial IoT domain. ‘IoT platforms and services are based upon enterprises knowing what they want. They approach an IoT platform provider and say: here’s my need – solve it. This, he argues, requires a different way of thinking by the enterprise where it needs to collect data to prove what it is selling is performing in accordance with what has been promised. ‘What is the business model behind this?’ he asks. ‘How do we produce the data; who owns the data; can anybody else use it? This is the challenge. It is about figuring out how to deploy a service based on data that provides a business model that will generate revenue. The smart companies will be the ones that figure this out and who will drive this transformation,’ says Pauzet. But finding the right connectivity solution, price point and IoT application is just the starting point. The IoT stack is made up of many layers and finding an end-to-end solution that defines the whole stack from the physical layer right up to establishing the semantics for the data at the top is a tricky ask. UK firm DevicePilot (formerly 1248 Ltd) is largely focused on solving the knotty issue of IoT device management. If IoT is to really take off, then it needs to scale. But once you have tens of thousands or millions of devices out there, you have to be able to manage them with relative ease. This is something Beart discovered at his previous company AlertMe when it moved from having to manage several hundreds or thousands of devices to having to manage tens of thousands for British Gas. ‘We then discovered all the challenges of scaling and so I see the same mindset happening in a lot of other companies big and small now with IoT,’ observes Beart. He points out that it is relatively simple to set up a temperature sensor, find the connectivity solution and develop the app. The problem comes when you need to scale that up and this is what consumes time and money. ‘When you only have a relatively few number of devices you can deal with problems manually and lavish care and attention on your early end users, which helps you develop your approach and proposition. But when you try and scale it up you find the real world is a messy place with batteries going flat, connectivity issues, security upgrades needed and so on,’ he says. ‘So, if you want to scale up successfully you have to automate all the device management issues or else you will need loads of people to respond to your unhappy customers and you will suffer brand damage, it will cost a fortune and you just won’t be on top of it,’ says Beart. He recalls that with the British Gas experience, the app was relatively simple. What cost 80% of the time, money and all the additional lines of code, were the management issues around the app. For that reason, Beart argues it helps to have IoT devices that are relatively sophisticated. ‘It is usually a false economy to reduce RAM and Flash, because you later find out you want to add more things. You will have security paths that needs patching and IoT standards will evolve, so you need to be able to accommodate changes. ‘It is not something to penny pinch on,’ he warns. ‘You need to make sure the IoT engineering and in-field support is sophisticated enough to minimise the amount of human time required, as that is what is expensive. ‘The engineering behind the hardware and software stacks needs to be done well and that is why open standards are so important, because it means many people are trying to fix the same problems, so that makes the process more efficient,’ observes Beart. He points out that eventually customers will find themselves with different generations of devices out in the field that need support with different hardware and software stacks, wireless connectivity standards and platforms to connect to. He adds that each platform has its strengths and weaknesses so enterprises need to be sure of what they want before approaching a platform provider. ‘We in the marketplace need to be better at helping enterprises do that. We need to talk about the issues from the user perspective, rather than the technology perspective. ‘There is a lack of knowledge and understanding among potential adopters that is holding back the market. We’ve got loads of technology, probably more than we need now we have all the LPWAN possibilities. There is an opportunity to accelerate the market, but only when enterprises have really understood what they want. ‘They need to develop a strategic approach, cost justify it and sort out their priorities. Then the market will take off and maybe we’ll get to about 60-70% of Ericsson’s 50 billion prediction,’ says Duke-Woolley. He is optimistic that the market is beginning to realise it needs to talk to end users in their language. ‘The ideal platform will cater for all applications, but that is a dream and will never happen. However, the most successful will be horizontal platforms that are able to cater for a wide range of apps in different verticals. ‘That means they will have identified the particular requirements of each vertical and a way to provide them with value. That is a tougher challenge than has been recognised for suppliers and one of the constraints on growing the IoT market,’ says Duke-Woolley. That said, Ovum’s Jamie Moss notes that there is a lot of commonality across applications and markets, so platforms and IoT system integrators can usually replicate 80% of what they do across different verticals and then add 20% bespoke solutions. Duke-Woolley also notes that true IoT, as opposed to M2M which is generally restricted to a single activity within a vertical market silo or individual enterprise, is all about data sharing between multiple data sources, machines, sensors and end users. ‘A truly smart environment, be it a smart home, grid, city, factory or agriculture, tries to interpret data form a variety of sources to optimise what you are doing – hopefully on one platform,’ says Duke-Woolley. Another big issue that needs attention is IoT security – a big subject in itself. As Duke-Woolley explains the fundamental problem is that the more things you have interconnected, the more connections there are open to attack. If you are relying on mission and business critical applications then some pretty nasty things can happen, such as bringing the National Grid down. People have too often seen security as an afterthought and an additional cost, he notes. ‘We need to move from that view that security is an extra cost,’ says Duke-Woolley. ‘We need to understand the value security offers. You don’t actually have an IoT solution until you have a secure one. Duke-Woolley adds that it is as well to take the view that someone will always get through the defence one day. So, customers need a plan what to do: when the attack happens; and then how to remediate the situation after the attack. ‘Often you need a firmware update and that needs to be automatic and available straight away. We are getting to grips with this, but we are not there yet,’ he warns. The conclusion would seem to be that IoT will scale up but it will take longer than many of the pundits have predicted. While many of the technical solutions are in place and costs are falling, there is still a lot of work to do in various parts of the stack to make true IoT a possibility.